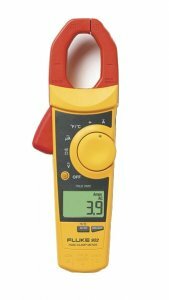 The new Fluke 902 True RMS HVAC Clamp Meter provides the accuracy, reliability and ruggedness that defines Fluke test tools. It is designed for HVAC technicians for the systems they service and install daily. With True RMS technology and a CAT III 600V rating, HVAC technicians can troubleshoot and maintain HVAC equipment safely and with confidence in the results.